Whilst 1000's wait for allotment plots, many would love to grow in a garden, like yours. Got the garden knack, but got a bad back? Share your skills. 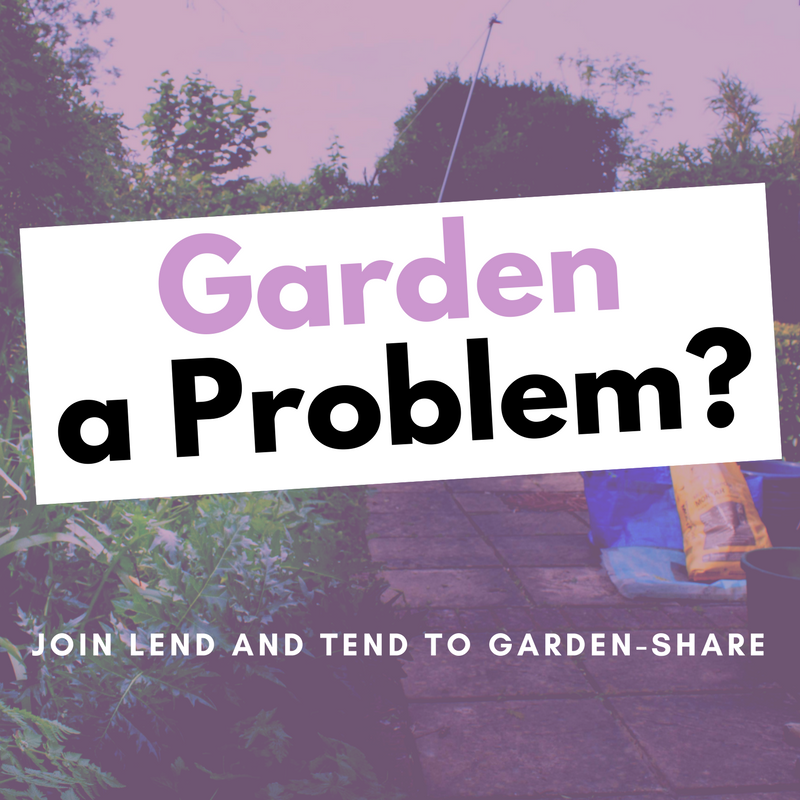 Teach your garden Tender how to get your garden blooming again together? Get help. Grow Food. Not weeds! Give someone the chance to grow. When allotment space can mean a long wait, find a nearby garden to grow in, locally. Get to know garden owners. Get to grow. If your day isn't dandy, take it out on the dandelions. Find inner peace; grow cabbage leaves. No garden, *sigh*, then sign up! Give someone a helping hand. Click the map to find a Patch-Match anywhere from Aberdeen, to Adelaide, Australia. Sign up. We'll keep your details safe and get in touch when a suitable Patch-Match becomes available. Ready?